You've heard of Easy Listening music, haven't you? That's music that helps you chill out from your daily stresses in life, sometimes puts a smile on your face, and gives you a feeling of happiness, warmth, peace and comfort because it's sweet and familiar and just plain .... mellow and nice. 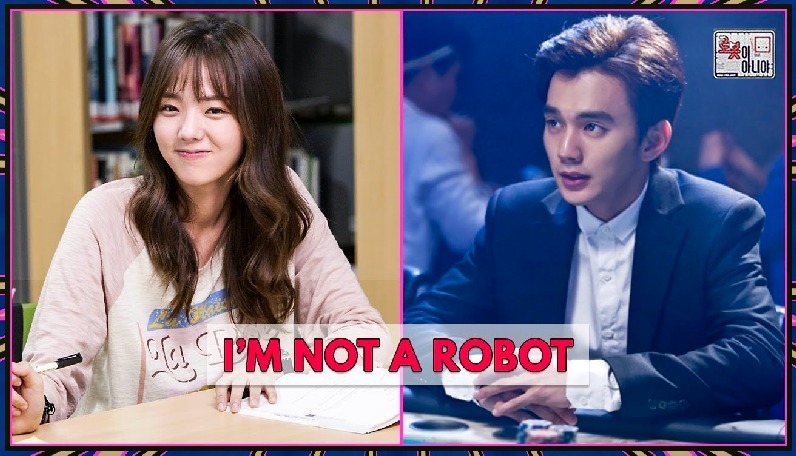 Well, the Korean drama I'm Not A Robot (MBC, 2017-18) is Easy Drama Watching in the same way. Watching this drama will relax you, put a smile on your face, make you feel warm inside because most of the characters are endearing and sweet and funny, like some people you are no doubt fond of in your own daily life. I didn't know quite what to expect after reading a short synopsis of this drama before it began, but it ended up being totally delightful. It also helped that each episode was less than 30 minutes long, so there was no danger of becoming bored or falling asleep. Something new was always happening, too, some fun twist or another, that proved quite addictive. If you are a fan of fantasy dramas with a touch of romance and comedy thrown in then definitely check this sweet one out! Although on the face of it this script might be considered a bit odd, thank goodness the producers locked in adorable Seung Ho Yoo as their lead actor. I've watched this lad grow up since he was a youngster in films like The Way Home and early 2000's K-dramas like Sad Love Story and Love Letter, and then later in more serious dramas like Arang and the Magistrate, Operation Proposal, I Miss You and Remember. He's a very fine actor, very versatile, quite handsome, and brave to be taking on the challenges of unique roles like this one, making them believable and even fascinating. I can't really envision any other Korean actor doing as fine a job with this role as he did. 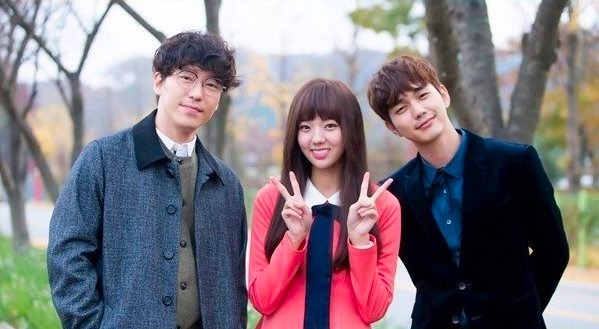 The script may have been silly at times on the face of it -- a young man with an IQ of 159 who doesn't realize that the "robot" he's been given as an experimental "gift" is in fact a real live young woman (Chae Soo Bin, wonderful sincere performance) -- quite a huge stretch there! -- but Seung Ho Yoo delivers a knockout performance in his role anyway. The script may have read silly at times, but the emotions the characters felt and expressed were not silly. Every actor on the production did a great job, from the leads down to the character actors, and even the bit part actors brought some merriment to the plot. I never expected to cry at all during this show but I certainly did .. more times than I care to admit! That's the magic of fine acting. 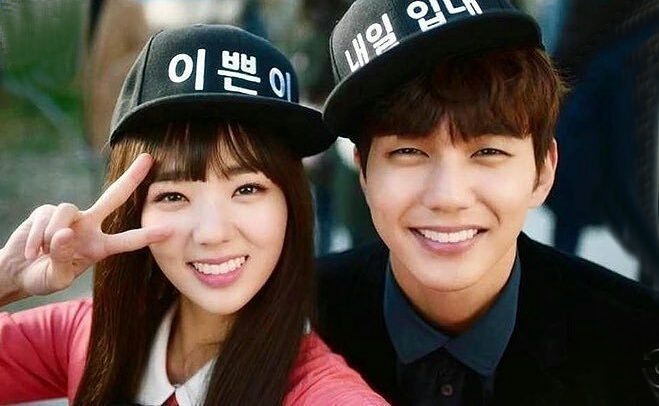 Meanwhile, a perky aspiring entrepreneur named Jo Ji A (Chae Soo Bin) works as a personal shopper, and Min Kyu, unable to go into stores himself, hires her on the phone to camp out at a store and buy one of the first editions of a new video game he desperately wants; he says he will pay her extra if she turns it in in perfect condition. She manages to get one of the first available but doesn't realize a young boy hit the box with his ice cream cone. At the location of their meeting Min Kyu carefully rolls down his car window and tells Ji A to put the game in the back seat of his car. When he notices the box is not perfect because it was damaged by ice cream he refuses to pay Ji A, which results in a battle of wits and an inadvertent touch, which causes Min Kyu's rash to start up. He quickly reaches for his antidote medicine and drives off, leaving Ji A furious, unknowing that she actually put his life at risk. One day Ji A receives a surprising phone call from her old boyfriend named Hong Baek Gyun (Uhm Ki Joon from Scent of A Woman). Her ex has become a world renowned developer of android robots. His latest creation with his team of three geniuses (played well by Park Se Wan, Song Jae Ryong, Kim Min Kyu) is an android he calls AJi 3, which he built with the same physical appearance as his old girlfriend Ji A, but an accident has broken AJi 3. While the robot is being fixed, Baek Gyun offers the real Ji A a lot of money to pretend to be the robot who is designed to look just like her (except for long hair instead of short). Desperate for money because her one brother Jo Jin Bae (Seo Dong Won) is growing tired of supporting her while she "finds herself" trying to invent contraptions like heart lamps, the real Ji A agrees to the lie. $10,000 is more money than she's ever seen in her life. She doesn't realize at first that she will be headed to the mansion owned by that very shopper, Min Kyu, whom she came in contact with earlier who had refused to pay her for that video game because the box had been damaged. She also doesn't realize right away that her own brother works at his financial company! Min Kyu has always been fascinated by robots because he has no friends, and he told developer Baek Gyun that he would invest in the continued production of this robot if he likes her and if she can be a daily help-meet to him. Even though the real Ji A is shocked to see who her new 'boss' is, she recovers quickly and soon becomes indispensable to Min Kyu. He begins to look forward to their daily meetings and conversations and seems oblivious that this is not a robot but a real human being (wishful thinking due to severe loneliness?). Soon he even discovers that when he touches AJi 3 he does not get a rash. Could it be in remission? Then, of course, he falls in love with AJi 3. Will Min Kyu ever finally realize the truth of the situation, or get to know the REAL Ji A? If he discovers the truth would he ever find it in his heart to forgive the research team's and Ji A's massive deception toward him? Will he ever find a total cure for his life-threatening rash so that he can finally have a more normal life and find a real human being to love, not just a robot? And what will happen to the real robot? Will she be discarded, changed, or sold to a different research and development firm? The rather quick succession of dramatic events proves to be quite hypnotic in this drama, again due solely to the fantastic acting talents of this spot on, brilliant ensemble cast. I've watched some K-dramas in the past which had much more serious melodramatic story lines that weren't acted nearly half as well as the acting here in I'm Not A Robot. Give it a chance, you'll like it. I promise. It's weird, it's wacky, it's fun and occasionally it's even deeply profound! (It also has a very pretty OST, but then almost all K-dramas do). Enjoy.